IG: @AfricanFoods: Suya made from beef with peppers, onion and tomatoes. 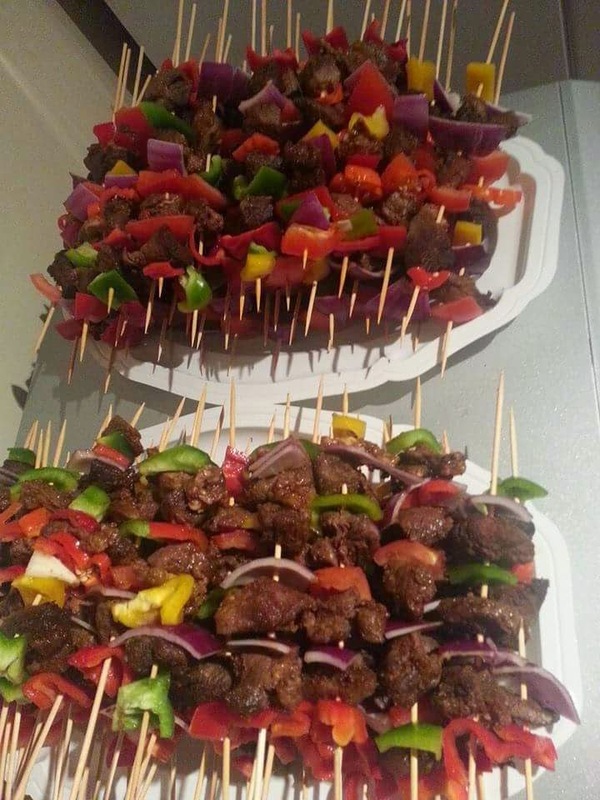 Suya made from beef with peppers, onion and tomatoes. Beef, salt, ginger, garlic, knorr cubes, dried and fresh green/red sweet peppers, fresh tomatoes, onions. Boil the beef cuts in spices then grill afterwards. After grilling put the beef on to the sticks to make the suya putting the fresh tomatoes, peppers and onions in between the pieces of meat. Reheat in microwave to serve.